1941 | When Grandpa Was A Boy, Were There Any Dinosaurs? 1908: Eighteen months after he was commissioned as an ensign in the U.S. Navy, Chester Nimitz was in command of the destroyer Decatur when it ran aground on a mudbank in Batangas Bay, in the Philippines. Nimitz was court-martialled and found guilty of “neglect of duty”. He was relieved of his command, but his mistake had no lasting effect on his career; he moved up the ranks and in December 1941 was put in command of the U.S. fleet in the Pacific. 1941: William Marston claimed that, while still a psychology student at Harvard, he had been the first person to measure blood pressure as a means of lie detection. Throughout the 1920s and ’30s he lobbied unsuccessfully for the use of the polygraph in court cases. In 1941 he created the comic-book heroine Wonder Woman, who used a magic lasso to ensnare criminals and to extract confessions. 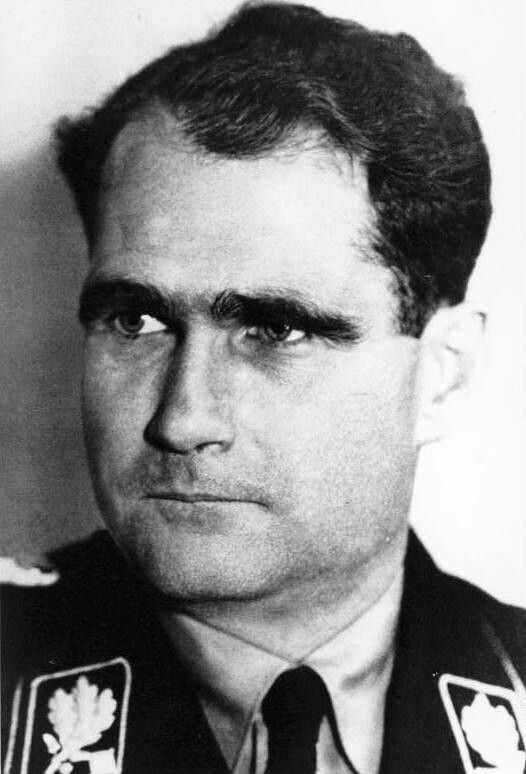 1941: In May, Hitler’s deputy, Rudolf Hess, flew to Scotland on what appears to have been a misguided peace mission. Hess baled out of his aircraft and parachuted down near a cottage where David McLean, a ploughman, lived with his mother, Annie. The ploughman checked the airman for weapons, and then escorted him to the cottage. Mrs. McLean, meanwhile, had responded to the excitement by making a pot of tea. Hess politely refused the tea but asked for a glass of water. 1941: Clement Freud began his culinary career as a trainee chef in the “huge dank dark” kitchen of the Dorchester Hotel. The vegetable cook was an elderly Frenchman, a heavy-drinking garlic chewer who garnished dishes by stuffing his mouth with chopped parsley and spraying it through the gaps between his teeth. This technique, Freud reported, was “particularly effective with new potatoes, where the evenness of his aim made the dish look impressive”.